If you are looking for the cause of vertigo, chances are you have been searching for quite some time. That is because the majority of vertigo cases are very difficult to care for because symptoms are abrupt and may involve a combination of other conditions. It is estimated that 40 percent of adults over the age of 40 years old will encounter vertigo at least once in their lifetime. Traditional medical treatment utilizes drugs, physical therapy, and even surgical intervention to manage the symptoms. The problem is that even with all of this, most cases of vertigo do not resolve. Vertigo involves the sensation of dizziness, tinnitus (ringing in ears), lightheaded, imbalance, migraines and headaches, nausea, neck pain, and may even be accompanied by other symptoms. 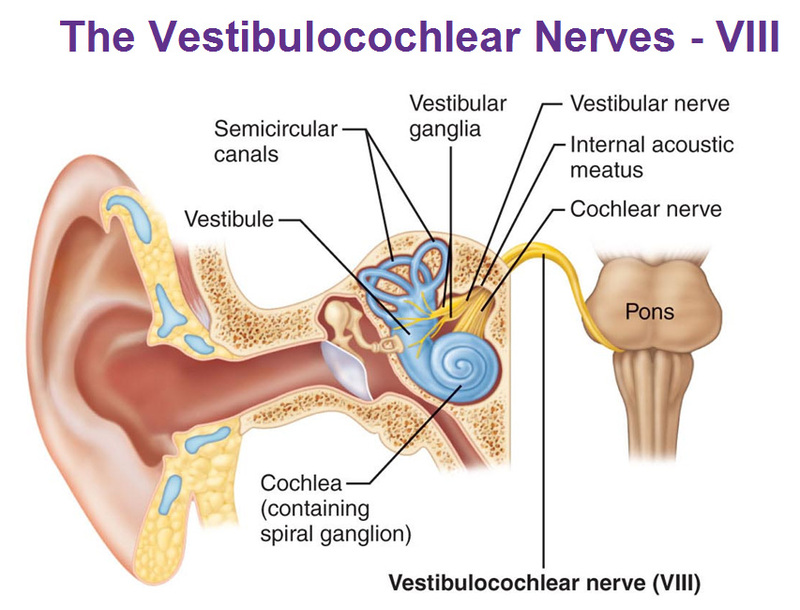 The science and research tells us that this has most likely has to do with the functionality of the vestibular nerve which controls balance of the fluid levels in our ears. When fluid levels change direction in the ear, tiny hairs in the middle ear are stimulated and relay this information to the brain centers where balance is perceived. The vestibular nerve is found in the brainstem at the junction of the upper cervical spine and skull. This nerve is involved in the natural Writing Reflex which keeps the entire body in alignment with surface of the Earth! 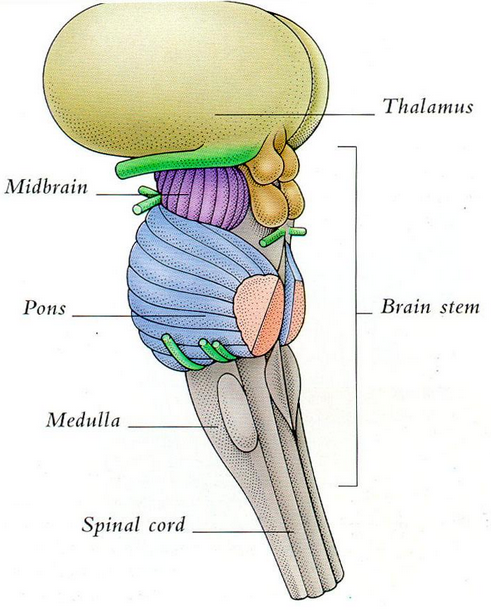 The brainstem is the portion of the brain that feeds the cerebellum (balancing centers), cortex, and hypothalamus (pain processing) with information from the body. It regulates all of the information that goes into and out of the brain. Unique condyles and joint biomechanics in the upper cervical spine make it very difficult to evaluate from a clinical standpoint. 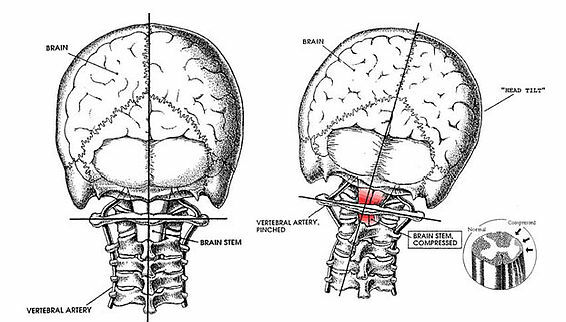 In taking care of vertigo, the doctor must consider a structural AND functional approach to in assessing brainstem functionality. The cause is both physical and neurological and requires the special training to correctly evaluate. There is Hope With Upper Cervical Chiropractic! Upper Cervical Chiropractic has been helping patients in our office for years recover naturally from vertigo without medical intervention! Upper Cervical Chiropractic is a strict discipline within the chiropractic profession that focuses on structure and function of the top two vertebrae in the spine (atlas and axis). These vertebrae are especially important because they protect the functionality of the lower portion of the brainstem while holding up the weight of the head. Injury to the upper cervical spine will likely damage underlying structures such as the vestibular nerve. In such cases of vertebral subluxation of the upper cervical spine, the bone actually moves out of place and causes damage to the brainstem and surrounding positional sensors. Subluxation to the upper cervical spine can result from either a traumatic injury such as a car accident or bump to the head, or repetitive injury such as prolonged working with the head down. Often times most Upper Cervical Chiropractors are able to trace the subluxation injury to combination of both an initial injury and repetitive small injuries. Natural vertigo relief begins with caring for the underlying cause as opposed to dealing simply with the symptoms. An examination by a trained Upper Cervical Chiropractor will aid in determining the presence of any misalignment in your spine that may be a causing nerve pressure in the form of a subluxation. Chiropractic adjustments are performed only once x-rays and infrared spinal thermography scans have confirmed the presence of Subluxation. Vertigo cases tend to improve in approximately 12 visits or 3-6 months of continuous upper cervical chiropractic care, typically with complete resolution. Infrared Paraspinal Thermography – Used to detect brainstem and neurological imbalances. The reason upper cervical chiropractic care is successful in dealing with vertigo is because it addresses the root cause of the problem- which is a neurological dysfunction in the spine. When the neurology is stabilized, the body will regain its sense of balance and normal life function returns. It sounds simple because it is! Over 80% of the people who seek out care for vertigo with us succeed in getting well! This technique corrects the alignment of the upper spine without any twisting, popping, or cracking of the neck! Hi there! My husband has vertigo but also Meniere’s disease. We have been seeing an Upper Cervical Chiropractor for the past 5 yrs and hasnt had a severe episode since. I just moved into your area and saw your ad. My previous doctor did a technique similar to yours but not the same. Does that matter? Of like to come visit your office. Hi Jenny! First of all that is great that you have found chiropractic. Most find us as a last resort. While many techniques differ in chiropractic…the important thing that a doc should keep in mind is proper location and diagnosis of the problem. We use digital xray analysis and infrared spinal thermography on the neck as you might have read in the article. I have chosen the Toggle Recoil technique because it is gentle, specific, and requires the least amount of energy to accomplish the most amount of results. I tend to see people far less than most chiros due to this. Hope to see you soon. Call us anytime 586-843-0009.